Gator Wesley relies on the prayers and financial support of those believe in our mission of leading students into a growing relationship with Jesus Christ. We hope that you will want to help continue the amazing work being done in the lives of students now and in the future! Learn about ways to give by clicking a button below. Thank you for your generosity. Share in the growth of our students $80 at a time! Gifts to the Annual Fund go directly to our annual budget supporting our ministries with students year after year. Your commitment to our Annual Fund allows us to plan faithfully for our future. The most convenient way to give is through our Online Donation page accessed through the large orange button above. The process is easy you can make a one-time gift or set-up weekly/monthly automatic payments, which you can discontinue at anytime. You can also mail checks directly to the Gator Wesley Foundation, 1380 W. University Ave, Gainesville, FL 32603. We want to make it easy for you to give, so let us know how we can make the process easier by emailing [email protected]. Naming Opportunities are just some of the ways you can make a major contribution to the Gator Wesley Foundation for your family, a loved one, or a memorial tribute. Major gifts are typically directed towards our endowment and can be designated for specific purposes within the ministries of the Gator Wesley Foundation. Use the following picture to learn more about the various naming opportunities throughout the Gator Wesley Center. The largest financial contribution you can make to Gator Wesley Foundation is likely to be in the form of wills, bequests, trusts and gifts of real property. The Gator Wesley Foundation, in association with The United Methodist Foundation, can assist you and your family with planning for this type of gift. To learn more about our Planned Giving Program, send an email to [email protected] or use the following picture to show the various ways in which you can contribute to Gator Wesley through planned gifts.  As the official United Methodist Campus Ministry serving the University of Florida and Santa Fe College, the Wesley Foundation serves as an extension of Florida Conference churches onto the college campuses in Gainesville. All churches support campus ministry throughout the Florida Conference through their apportionment giving and we are grateful! The Florida Conference ends up giving us about 40% of our annual budget and the rest comes from the donations of alumni, parents, students, local churches through our Dollars for Wesley program or special giving, and friends of Gator Wesley.